← the joy of cooking. Is there anything worse than the flu bugs you get from a baby? I know, I know, of course there is. But at this moment, eyes and nose streaming, ears clogged, throat raw, sleep-deprived and generally miserable as I am, I am finding it hard to keep some perspective. In fact, I am so miserable that there is really only one thing I am willing to eat – and it is pictured above. This silken, soothing custard is the ultimate comfort food to me, and my childhood dish of choice when anything really unbearable came my way. Give me this, and some hot water with lemon and lots of honey (no whiskey, I promise), and I may live to see another day. Preheat oven to 350 degrees. Boil a kettleful of water. Lightly grease a one-litre ovenproof dish. Combine milk and sugar in a saucepan over medium heat and whisk until milk is very warm (do not bring to a boil, or you will have a curdled mess rather than a silken dreamy thing to eat) and sugar dissolved. In a large mixing bowl, whisk together eggs an vanilla. Pour milk mixture into egg mixture, whisking constantly. 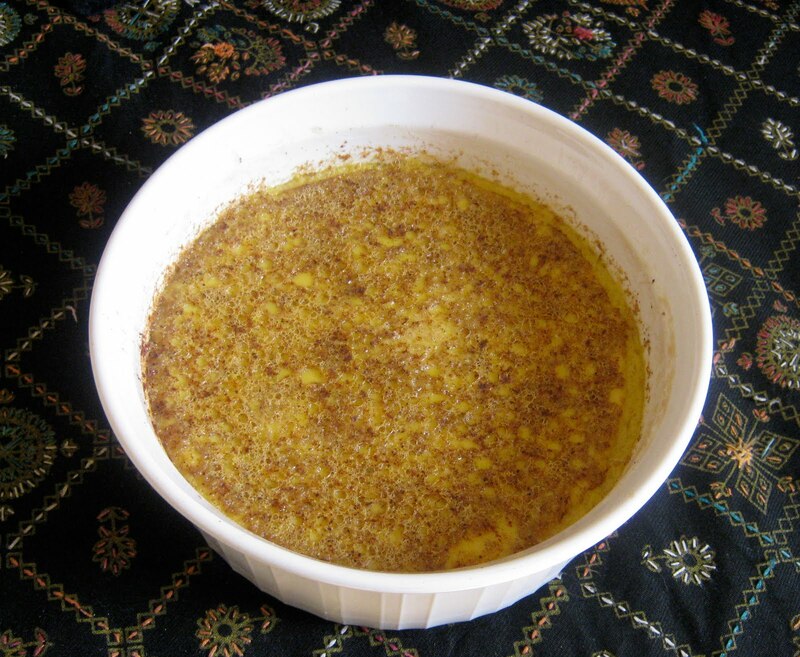 Pour custard into prepared dish, and sprinkle with nutmeg. Place dish in a roasting pan and place in the oven; pour boiled water into the roasting pan, until it reaches half way up the sides of the custard dish. Bake 25-35 minutes, until almost set. 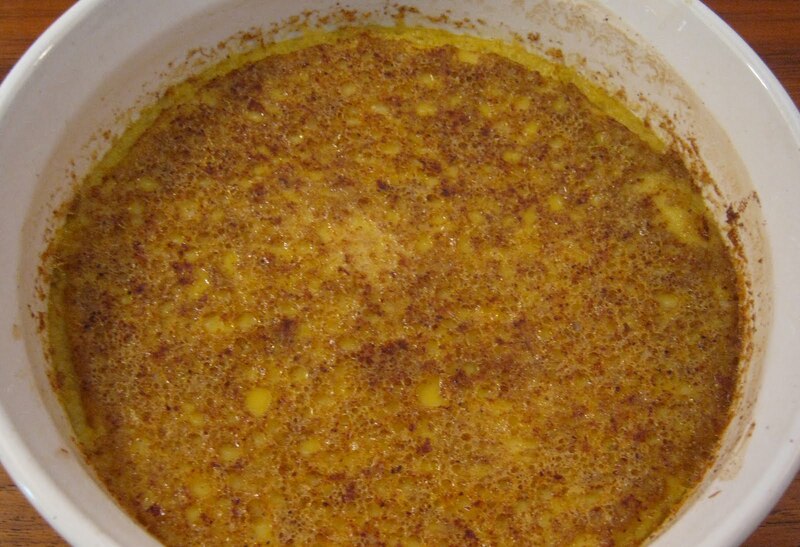 Remove custard from roasting pan and leave it to cool, in its dish, as long as you can. It might be marginally better cold, but I never get that far.